"Unique humor and elegance. 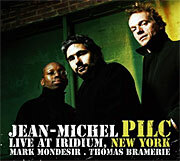 Clearly in the moment, Pilc delivers a captivating set filled with unexpected twists and turns"
"Taken from two nights of clearly inspired performances, Jean-Michel Pilc’s "Essential" stretches the boundaries of piano music. It uncovers the magic for all of us, engaging with 18 boundless tracks of improvised work. It is one of those recordings that not only captures the artist at work, it captures the artist at play. Pilc’s mind is wide-open, greeting the gathering audience and the ravishing Fazioli F-228 keys with love and integrity. An intelligent player unafraid of risks, chances and mistakes, Jean-Michel Pilc is impressive and stunning." "There seems to be no end to where this group could go…"
"Their super-playful, everything-is-permitted music depends on the incredible rapport that the three musicians have built over more than a decade and a half of playing together." "… intensely personal exploration from each musician that somehow combines to form a coherent group expression." "After many years of sharing the bandstand, one thing’s sure: There’s deep chemistry between pianist Pilc, bassist Moutin and drummer Hoenig. You can hear it in the precision of the miniatures comprising the new Threedom"
From the beautiful opening composition titled “The Other Night” to the personal interpretations of Schubert’s “Relic,” & Cole Porter’s “My Heart Belongs to Daddy” through the five-piece selection title track “True Story” (Scenes 1 thru 5) you will clearly recognize Jean-Michel Pilc’s compositional brilliance and the unique musicianship that is captured here within this trio format. 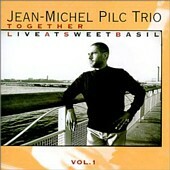 "In this CD, more than any other, various facets of Pilc's art come together, from the quicksilver nature of his improvisations to his profound knowledge of the classical repertory, from his gifts as towering soloist to his skills at leading a trio (with bassist Boris Kozlov and drummer Billy Hart)." "Another more subtle and lyrical side of his formidable musicality... Pilc's deepest and most rewarding statement to date." "Ferocious chops, a fearless imagination, and a wildly unpredictable approach to rhythm and dynamics." "An extraordinary musical magic box. Every song is an exploration, a discovery." "Ceaseless delectable ideas, often unexpected and yet entirely logical." 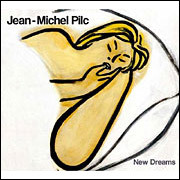 "Jean-Michel Pilc is a trip. No jazz pianist today offers anything like his mélange of monster chops, wildly impulsive imagination, addiction to bombastic melodrama and shameless love of showing off." "'Follow Me' stands a major summation of Pilc's keyboard art, which has no counterparts. Pilc ranks among today's titans of the instrument... there's more to his art than the speed, precision and power of his 10 phenomenal fingers." "New facets within it reveal themselves with each hearing. Highly recommended." "...ridiculously well-balanced, and trading in the kind of grace that still has the power to shake a room. Keith Jarrett found something similar... Pilc's nudging it a bit further down the line"
"Pilc's playing reveals a roaring fire that all but consumes the cosmopolitan sheen stereotypical of European music." 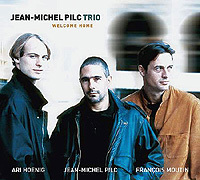 "Pilc, a pianist of razzle-dazzle technique, has been playing around town for years, but his music has never been brought into focus as impressively as on his new CD, Welcome Home (Dreyfus), recorded in Paris with drummer Ari Hoenig and the remarkable bassist, François Moutin, who played in New York last year with Martial Solal. Solal's own extravagantly witty and unexpected improvisational gambits may be seen as a precedent for Pilc's, which is saying a lot." 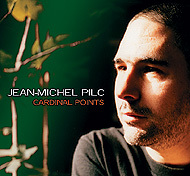 "On his first disc for the Dreyfus label, Jean-Michel Pilc keeps his regular trio intact and continues to work maniacal wonders, mostly with standards. Beginning with a fast and playful "So What," Pilc, bassist Francois Moutin, and drummer Ari Hoenig toss the familiar figure back and forth, stretching it wildly while preserving the integrity of the form. Duke Ellington and John Coltrane each get a double nod, the former with sparse yet off-kilter readings of "I Got It Bad" and "Solitude," the latter with short, back-to-back deconstructions of "Cousin Mary" and "Giant Steps." And Monk, one of Pilc's main influences, is represented with "Rhythm-a-Ning," featuring spirited trading between Pilc and Moutin and a meltdown of an ending. The trio locates wonderful new secrets in the harmonic folds of "Stella by Starlight," "Tenderly," and even Simon Garfunkel's "Scarborough Fair." Pilc’s four originals resound with conceptual daring, particularly the frenetic "Colchiques Dans Les Prés" and the churning, funky "Serial Mother Blues." A strong statement from a trio that continues to defy classification." "Been listening to tapes of the pianist's recent live dates, and they're killing…He's one of our top young piano voices…Listen to what the pianist does to the opening of Bessie's Blues on volume two of Live at Sweet Basil. Refraction, substraction, big action. Pilc's bands are becoming synonymous with interplay. And the leader's a quick-change artist - that cluster in the air is now a single note, decaying quite regally donchaknow." 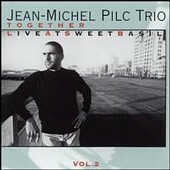 "Those who experience this phenomenal trio had better be prepared for an exhaustive exercise in deep listening, for Pilc is a pillar of intensity. He utilizes broad ranging adaptations and re-invention of standards, with a wellspring of ideas that tumble out like a rushing waterfall or roaring tornado. This 73 minutes of music is at once stunning, dumbfoundling, compelling and brilliant beyond description." "A fantastic new CD. It doesn't take a rocket scientist to apprehend the genius of Pilc's music. Pilc & Co.'s courageous approach to playing jazz in the moment, plus the enormous talent this focus on improvisational interpretation brings to light, make his last CD a deeply satisfying recording that marks a triumphant turning point in his career. To quote Pilc's own words, this trio is 'the dream of a lifetime come true.'" "...make no mistake about it, to his credit, Mr. Pilc is very unique... I would say that this trio starts at Mars, and then goes from there. Don't expect anything resembling conventional interpretations. This is fascinating and rewarding music...The level of empathy and sensitivity in this group is also stunning. They can stop or shift gears on a dime... For anyone interested in creative and visceral music, this album is an important find. I eagerly await vol. 2"
"Pilc stands ready to break out of the box and allow the immensity of his talent to be recognized... Pilc's talent is such that it leaves the listeners agog and the critics wordless... From the critics' quotes I've read, they're struggling to describe the physicality of his approach and the unpredictability of his performances... "Live At Sweet Basil, Vol. 1" is in a class unto itself, stunning the listener to attention. Like other writers, I'm glad to have heard Jean-Michel Pilc at a relatively early stage in his career before the inevitable buzz surrounds him."